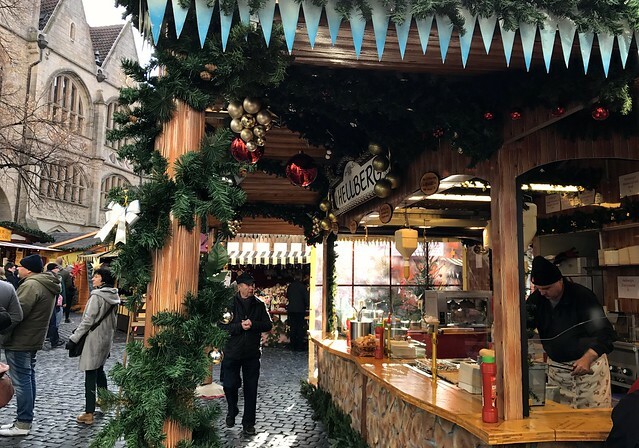 As part of the #CitybreakGermany the idea was to discover four Christmas markets around the region of Niedersachsen over a long weekend. 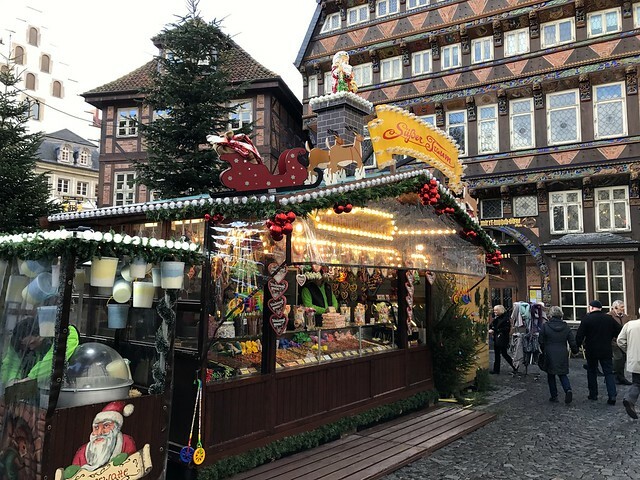 This was the third stop on the tour and we travelled from Göttingen Christmas market as part of the weekend trip. Before we get started, the market opens on the 24th of November and carries on after Christmas day until the 27th of December (2016). As part of the trip we travelled by ICE train and the journey time was around one hour from Göttingen. 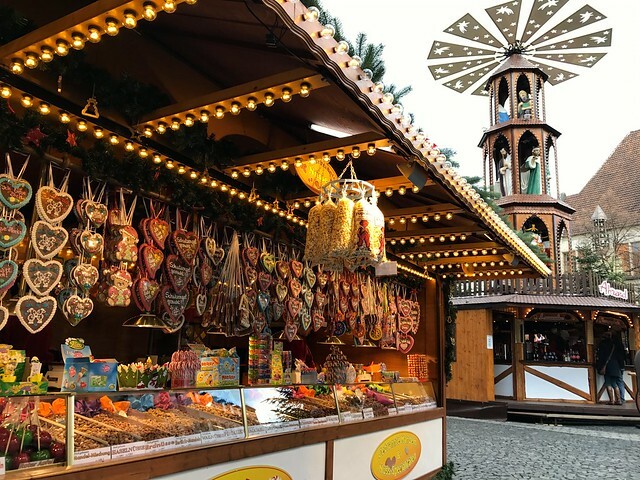 You can easily connect many Christmas markets around the region of Niedersachsen as they are all only a short distance away. 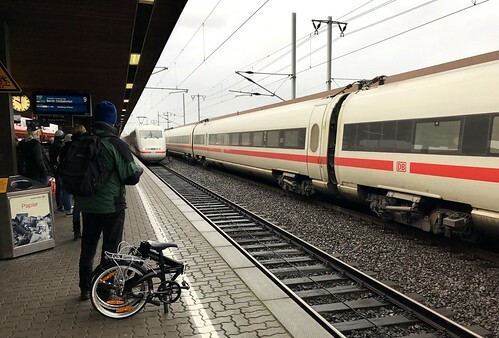 If you plan on travelling direct to Hildesheim you can fly into Hannover airport which will take you just under two hours of train travel time from the airport to the city. 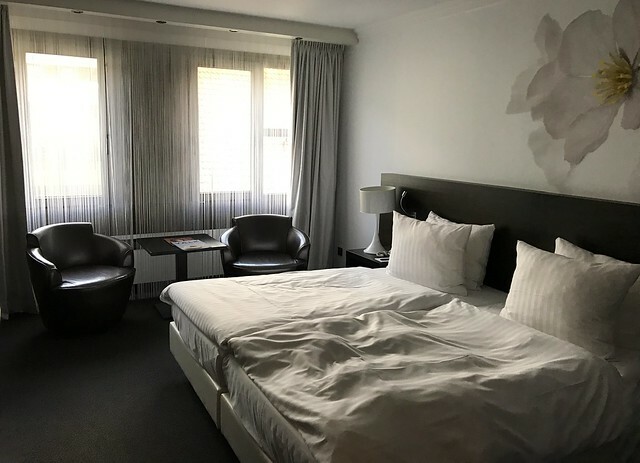 For the night we stayed at Van der Valk Hotel Hildesheim. The hotel offers nicely sized double bedrooms which are perfect for sharing. Cosy central rooms that offer a perfect night’s stay in the heart of the city. 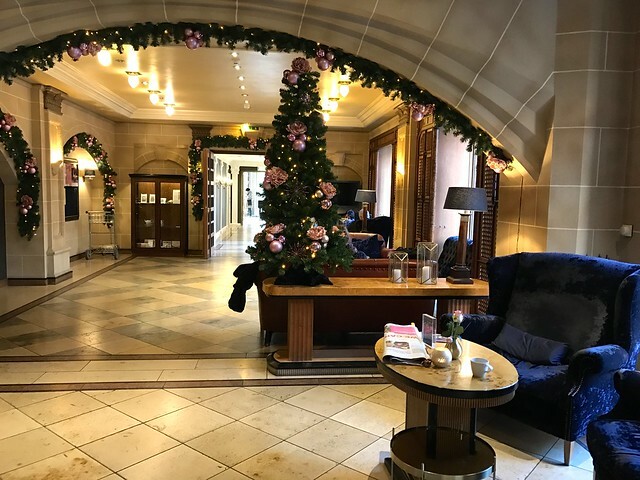 The hotel lobby is well decorated to fit in with the festive season and with the Christmas market literally on the doorstep, you don’t have far to walk at all. 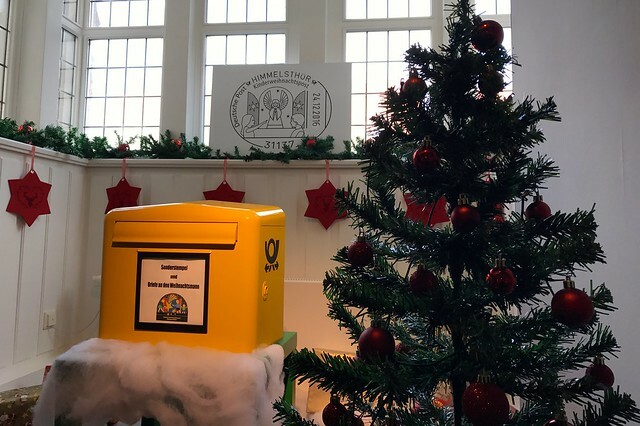 Every guest staying at Van der Valk Hotel Hildesheim receives a personal postcard to send to a loved one with a picture of the Christmas market on the front. Love little touches like that to make your stay feel even more so welcomed. 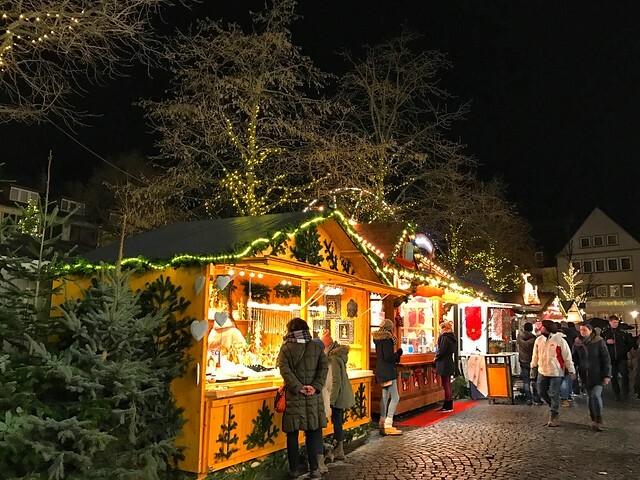 Hildesheim Christmas market is located in the heart of the city surrounded by traditional German buildings which can be found in the city square. It’s a perfect location that offers a magical feel as you first arrive. 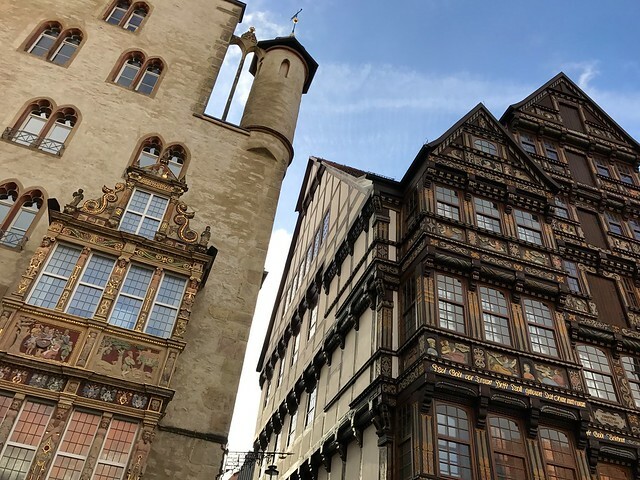 Hildesheim suffered from heavy damage during the second World War and has since been restored back to its original condition. 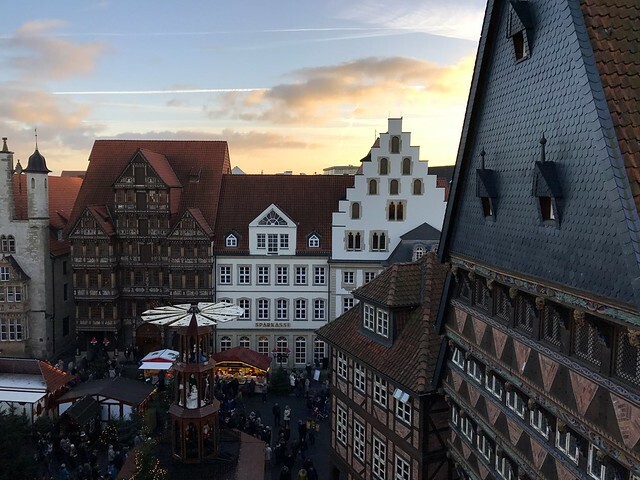 The central square where the Christmas market is located has many of the traditional buildings in a newly renovated form. The square simply adds a wonderful traditional feel to the Christmas market which feels like you’re stepping back into the 1800’s. The Christmas market is built up of two areas, both on either side of the city hall in the surrounding squares. You can also walk into the city hall to find a design boutique market area where local artists are selling their crafts, which make for wonderful gift ideas. Be sure to hang around until the sun goes down and the illuminating lights turn on to add to a magical atmosphere. 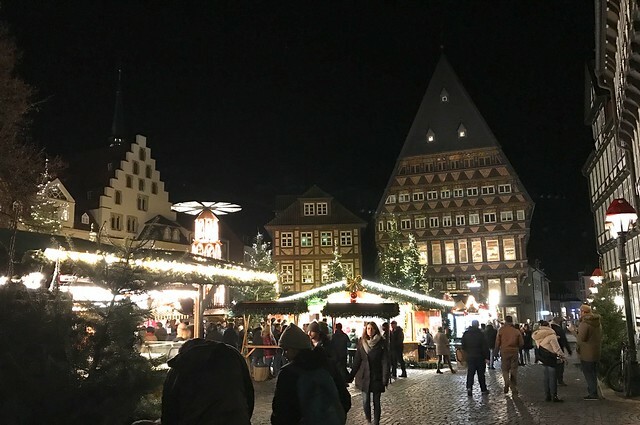 Let’s walk around the German Christmas market of Hildesheim. 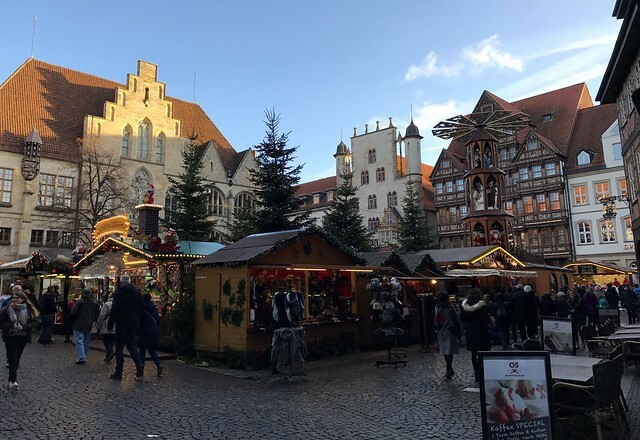 If you visit the Tourism information centre located at the Christmas market square you can receive a special festive Hildesheim postal stamp. Maybe this could be a good location to send your letter to Father Christmas! 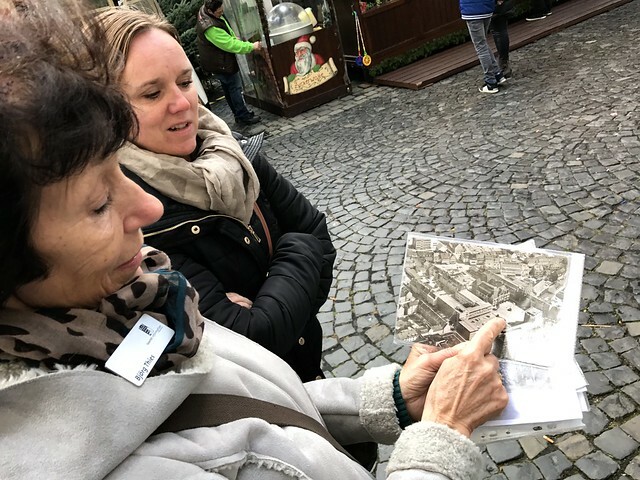 The tourism information centre is also worth a visit to gather information about the city as well as going on a brief history tour of Hildesheim. 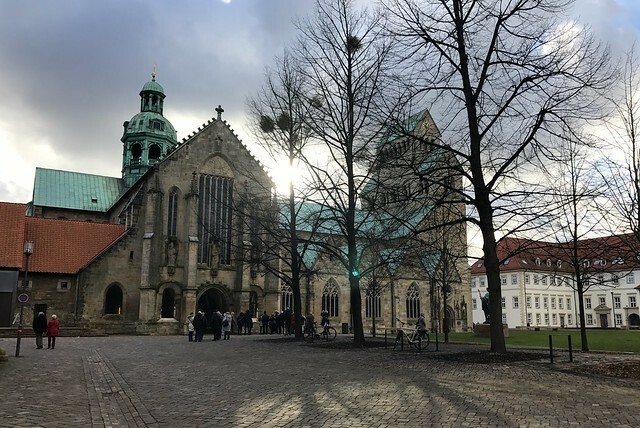 A short walk away from the Christmas market, you will find Hildesheim cathedral. Build in 1010, this Romanesque style building has been a UNESCO listed world heritage site since 1985. Go back in time and explore around this old Cathedral, which has a lot of history on display to offer. Around the Christmas period they put on a special exhibition of a nativity set in miniature form with figures reenacting the scene. 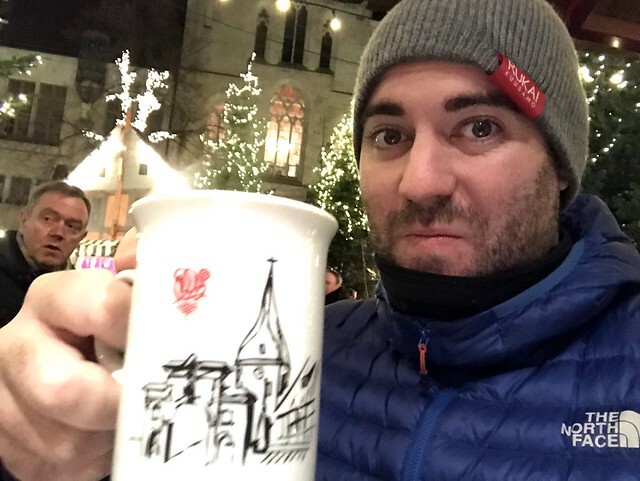 One of the highlights of visiting so many Christmas markets around Germany in such a short time is enjoying how each Christmas market enjoys a mug of glühwein. 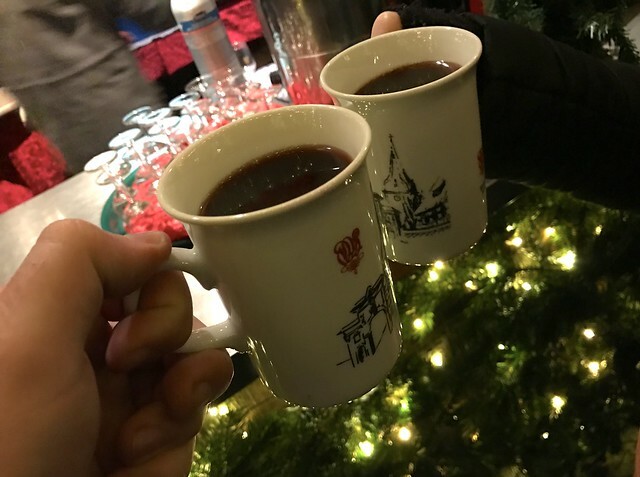 For starters Hildesheim has a lovely mug design and to spice things up we ordered our glühwein with an extra shot of rum to keep warm. It’s nice to try all the different traditions each market has. As we go along on the tour, every place has its own unique way of doing things. 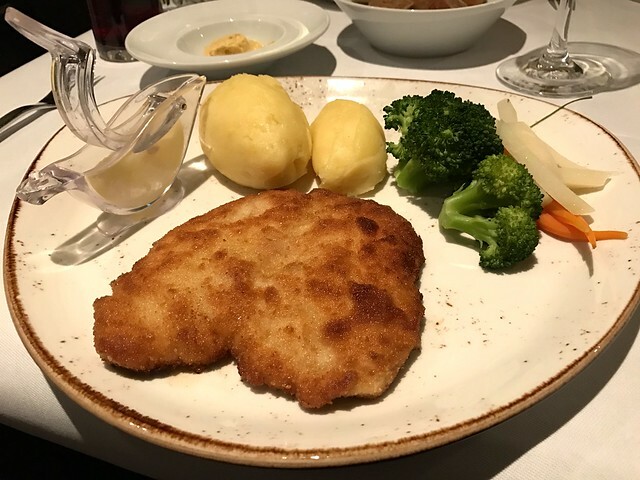 A trip to Germany wouldn’t be complete without trying a schnitzel dish. As the day had been filled with walking, we thought we might try the restaurant at the Van der Valk Hotel. The schnitzel was fantastic and I would totally order it again. It was wonderful to see the Christmas markets from the table window and be within close distance to a warm fire. Perfect way to end the day. 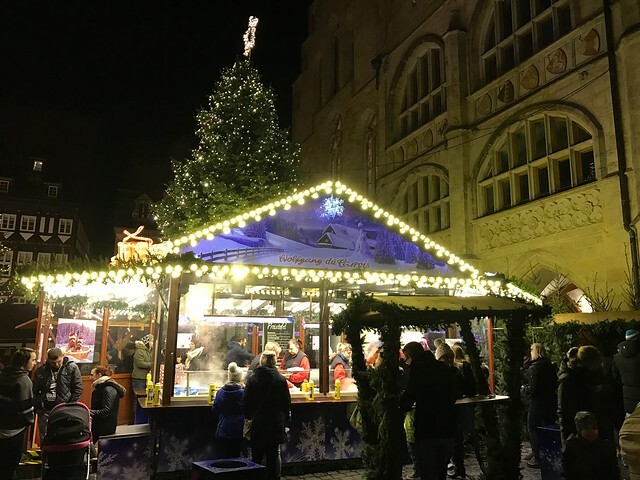 Thank you for reading my blog post about Hildesheim German Christmas market.